Caring for someone with Alzheimer's disease involves planning for the future. This includes getting the person's legal, health and financial affairs in order. It is important to make these arrangements while the person with Alzheimer's can still understand and make important decisions. Check to see that the person with Alzheimer's has the following documents and that they are up to date. A durable power of attorney for finances gives someone the power to make legal and financial decisions on behalf of the person with Alzheimer's. A durable power of attorney for health care gives someone called a trustee the power to make healthcare decisions on behalf of the person with Alzheimer's. A living will states the person's wishes for end-of-life health care. A do-not-resuscitate form tells healthcare staff not to perform cardiopulmonary resuscitation (CPR) if a person's heart stops or if he or she stops breathing. A will tells how the person wants his or her property and money to be distributed after death. A living trust tells someone called a trustee how to distribute a person's property and money. 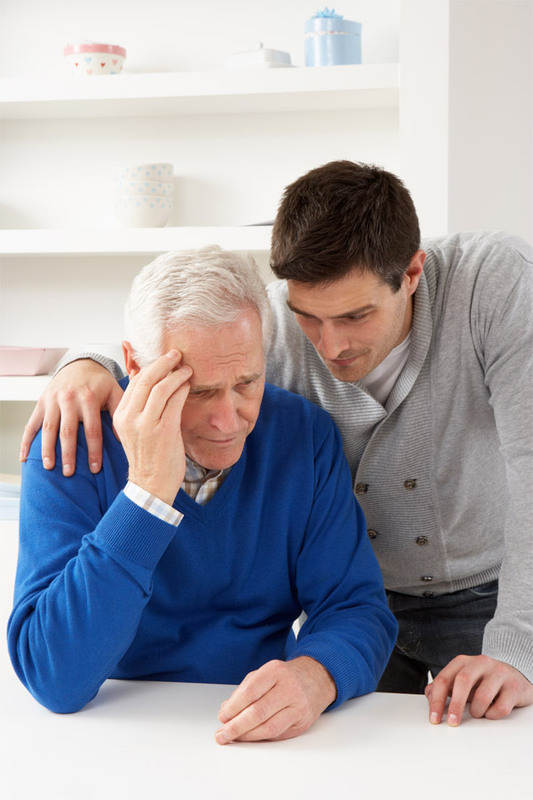 These legal and financial arrangements will help when the person with Alzheimer's disease can no longer make decisions about money or medical care. They can also help prevent serious problems such as financial abuse. An attorney can help create the right legal documents. Samples of basic health planning documents can be downloaded from State government websites. Area Agency on Aging officials, State legal aid offices, and the State bar association may also provide legal advice or help. People with Alzheimer's often have problems managing money. As the disease gets worse, a person may try to hide financial problems to protect his or her independence. Or, the person may not realize that he or she is losing the ability to handle money matters. It is important for caregivers to check how well the person with Alzheimer's is managing his or her finances. In the beginning, people with Alzheimer's disease may be able to perform basic tasks such as paying bills. They may have problems with more complicated tasks, such as balancing a checkbook and making investment decisions. As the disease gets worse, all money management skills decline, with the more complex skills disappearing first. Possible signs that a person with Alzheimer's is having a hard time with finances include trouble counting change or calculating a tip. You might find unpaid or unopened bills lying around the person's home. You might notice lots of new purchases on a credit card bill or strange new merchandise. A person with Alzheimer's may become the victim of financial abuse or "scams" by dishonest people. Scams can take many forms, such as get-rich-quick offers and phony home repairs. Watch for someone borrowing money from the person with Alzheimer's and not paying it back, giving away or selling the person's belongings without permission, or signing or cashing pension or Social Security checks without permission. A scammer might also use ATM or credit cards without permission or force the person to sign over property. These are other signs that the person with Alzheimer's has become the victim of a scam. The person seems afraid or worried when he or she talks about money. Sums of money are missing from the person's bank or retirement accounts. Signatures on checks or other papers don't look like the person's signature. The person's will has been changed without his or her permission. The person's home is sold, and he or she did not agree to sell it. Things such as clothes or jewelry are missing from the home. The person has signed legal papers without knowing what the papers mean. If you think the person may be a victim of a scam, contact your local police department, state consumer protection office, or Area Agency on Aging office. For help finding these offices, contact Eldercare Locator at 1-800-677-1116 or www.eldercare.gov. For a list of state consumer protection offices, see Index of State and Local Consumer Agencies. You can also look in the telephone book for a listing in the blue/Government pages.